To purchase tickets visit Ticketmaster online, phone 136 100 or visit the Ticketmaster box office at McDonald Jones Stadium (located at the Western grandstand ticket box). All general and mobility parking has sold out for this event. Parking on game days is available only for vehicles with a pre-paid parking ticket. Disabled parking areas have been designated in close proximity to each of McDonald Jones Stadium's accessible entries. Please click here to view alternative transport options. McDonald Jones Stadium has a variety of food and beverage outlets available throughout the Stadium to keep you satisfied during the match. With EFTPOS now available at all food and beverage outlets, you can avoid the hassle of visiting the ATM before you purchase. You are welcome to bring your own packed food in small quantities. Any plastic bottles must be sealed. Please note that all liquor, glass bottles, breakable containers and unsealed beverages are not permitted into McDonald Jones Stadium. 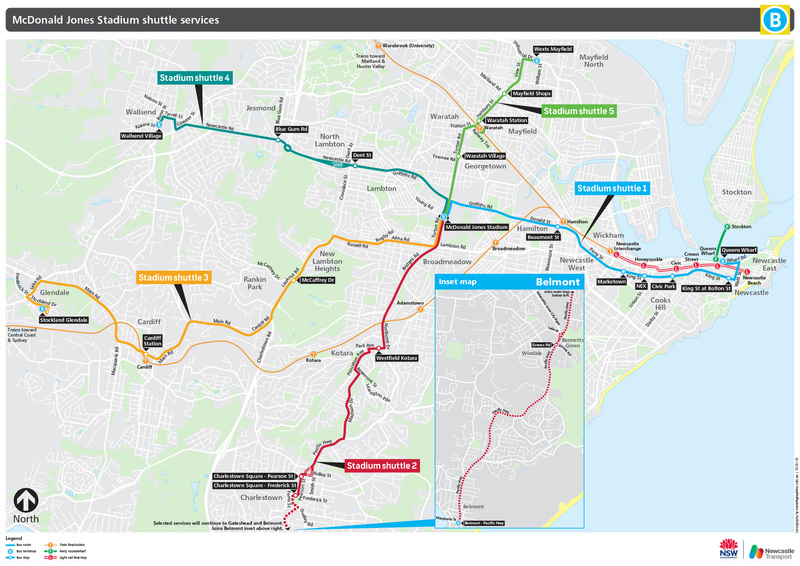 Rugby League fans will have an easy time getting to Newcastle Knights home games thanks to free, dedicated bus services that will run to McDonald Jones Stadium during the 2019 season. Please click here for routes and key times.